About a year ago, I decided it was time to start having my girls say prayers at night. We go to church every week, but I honestly don’t know how many prayers are being said in between coloring and shoving goldfish down their throats. I figured night time would be best since it is the quietest and most low key part of our day. Although we go to church, I can’t say I’m an overly religious person. That’s why when it came to saying prayers, I was looking for a little guidance from above. I knew we were going to start with the sign of the cross. After that, I honestly drew a blank! I knew we could go into an “Our Father” or “Hail Mary”, but I didn’t want my girls to just memorize and recite a prayer. I wanted it to mean something and come from their little hearts. Then I told each of them to think of one special thing to be grateful for each night. And the list goes on. These are just some of the ones that stick out because they are so sweet, innocent, and funny sometimes. I don’t know how many adults thank God that they poop everyday! Although they give me a good laugh, I know they are really thinking about what to be thankful for, and for that I am thankful. In the end, the little things truly are the big things and that’s all that matters. That’s lovely. In our church the children learn a little song to help them remember: we start by addressing Heavenly Father, thank Him, ask for things we need (for ourselves or others), and end in the name of Jesus Christ, amen. I love hearing the cute/funny things they are sincerely thankful for, and I’m sure God does, too. 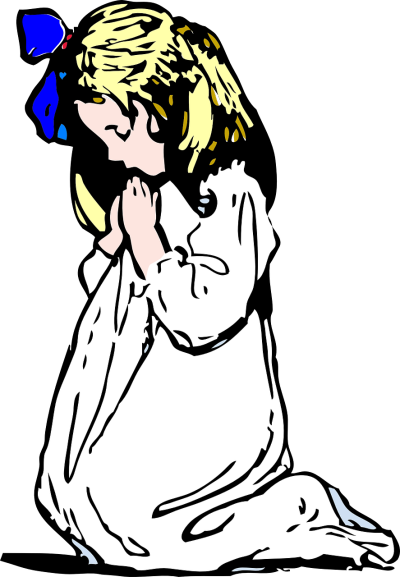 My daughter says the cutest things when she says her prayers as well. Love that you captured this moment. So sweet!